Running and I have never really got along. This past weekend my friends convinced me to run a 5K called Color Me Rad. I had never run a 5K and didn’t think I ever would. Well was I wrong, but it was so worth it! You wear all white and run through all these color stations while getting splattered with color. The best part was it really wasn’t about your timing, but rather the community and experience with your friends. We all had so much fun running through the color and throwing it on everyone in the gathering when everyone had finished the race. 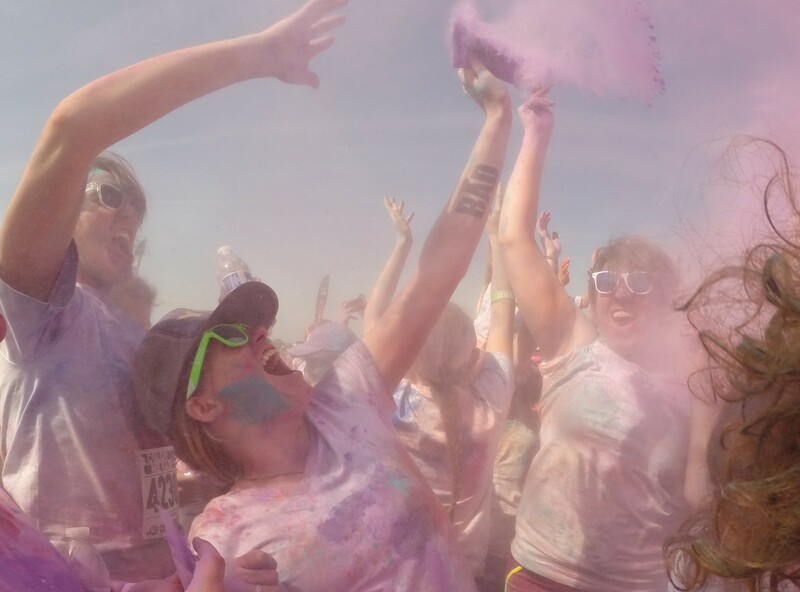 My friends and I had a victory dance at the finish line by throwing color on one another. I can say it was the most colorful experience I have ever had!